We, the signatories, are Alaska fisheries managers, scientists, regulators and former state officials. We have spent our careers working on fisheries management, science and resource management. For more than 60 years, Alaska has responsibly balanced resource development and the protection of our state's natural resources — including our fisheries. As topic experts, our interest in supporting that balance makes us question the viability of Ballot Measure 1. Ballot Measure 1 replaces Alaska's scientific process for identifying, studying and permitting fish habitat with new and untested regulations. Today, when a project is on the horizon, we go out to the area in question and conduct numerous studies, including water turbidity, fish counts, escapement rates, temperature, water levels and so on. Multiple state and federal agencies collaborate to make this all happen. And when it comes time to evaluate a permit, the data collected is scrutinized and carefully considered before any decisions on how to move forward, or even if to move forward, are made. 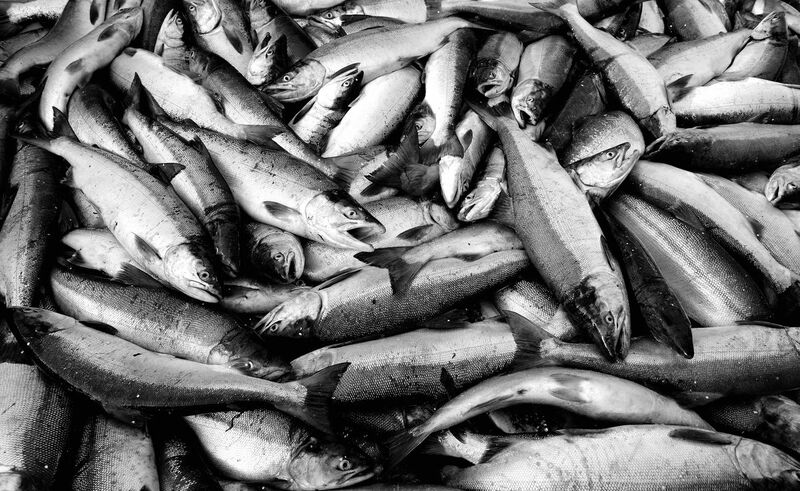 Alaska's approach to fisheries management has been codified in law, acts as a blueprint for fisheries management and is widely praised as incorporating best practices around the country and the world. It is a model that has worked in permitting both industry and community projects, like pipelines, major dams and roadways that enable Alaskans to live their everyday lives. Finding balance has been the responsibility of those who have worked in fisheries management for much of their careers. Reasonable improvements could be made to our current laws, but Ballot Measure 1 was written with no public input on how to improve habitat protections already in place and it unreasonably overhauls current law. Ballot Measure 1 proposes a system that is unworkable, unmanageable and unaffordable. Moreover, Ballot Measure 1 was drafted in private without public review or scrutiny. That approach flies directly in the face of our greatest responsibility: to review and scrutinize the data before arriving at a decision. We believe that lack of transparency results in a ballot measure rife with vague and imprecise language that will create confusion and uncertainty in how we permit and protect our anadromous fish in Alaska waters. The issue here is more than just a debate over process. Salmon runs are down across most of Alaska. Ballot Measure 1 supporters point to this measure as a needed fix. However, Ballot Measure 1 fails to address the actual challenges facing wild salmon today in our waters. Many experts have identified various changing ocean conditions as contributing factors to this problem. One of those is the mass of warm water located in the Gulf of Alaska — the so-called "blob." There are other factors contributing as well, such as increasing presence of invasive predatory fish, ocean acidification and food source competition. In a recent article published on the Alaska Public Radio website, Fish and Game biologist Nicole Zeise stated that "most of the data suggests that the problem's in the marine environment." "Freshwater systems are healthy, producing plenty of smolt and fry going out. It's just that something's going on in the ocean that we can't control." The recent Chinook Symposium in Sitka in May helped highlight the current science about the decline in salmon runs. Salmon researcher Ed Jones was quoted in another Alaska Public Radio broadcast discussing the down cycle in salmon. "They're dying at sea. So yes, fisheries, seals, killer whales, are all added factors, but the biggest driver is Mother Nature right now," said Jones, further highlighting changing ocean conditions as a cause for declining salmon runs. If we want to protect our salmon for future generations, then we need more analysis and data in order to generate an effective plan. In the meantime, we urge Alaskans to learn more about Ballot Measure 1 and what it could do to our current, effective management. Alaska needs a balanced, effective policy for protecting our resources — and Ballot Measure 1 fails that test. Randy Bates is the former Division Director of Habitat for the Alaska Department of Fish and Game. Ed Fogels served as a former Deputy Commissioner and former Director of the Office of Project Management and Permitting in the Alaska Department of Natural Resources. Kerry Howard is a former Division Director of Habitat with the Alaska Department of Fish and Game. Thomas E. Irwin is a former Alaska Department of Natural Resources Commissioner. Bill Jeffress is a former Director of the Office of Project Management and Permitting with the Alaska Department of Natural Resources. Doug Vincent Lang is a former Director of Wildlife Conservation at the Dept. of Fish and Game. Bob Loeffler is a former Director of Land, Mining and Water at the Dept. of Natural Resources. Ginny Litchfield is a former Habitat Division Area Manager for the Dept. of Fish and Game. Bill Morris is a former Division of Habitat Regional Supervisor for the Dept. of Fish and Game. Slim Morstad is a former Area Management Biologist for Naknek and Kvichak for the Dept. of Fish and Game. Marty K. Rutherford is a former commissioner of the Dept. of Natural Resources. Randy Bates is director of the Habitat Division of the Alaska Department of Fish and Game. Doug Vincent-Lang is former director of the Alaska Department of Fish and Game's Division of Wildlife Conservation.